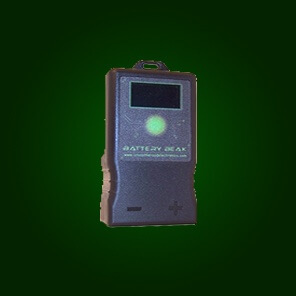 The Battery Beak is a battery load tester capable of delivering an 18 amp load and measuring a batteries internal resistance, state of charge (SOC), and determines the overall health of a battery. 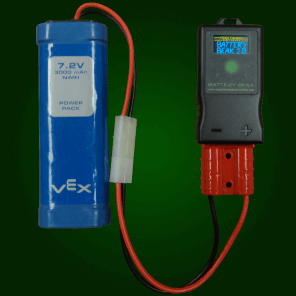 The Battery Beak is a battery load tester capable of delivering an 18 amp load and measuring a battery's internal resistance, state of charge (SOC), and determines the overall health of a battery. 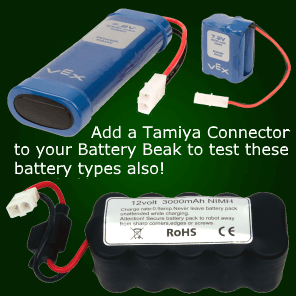 The Battery Beak supports all battery chemistries but has additional features to determine battery health for both Lead Acid and NiMH chemistries and supports a variety of AmpHour/Voltage combinations. 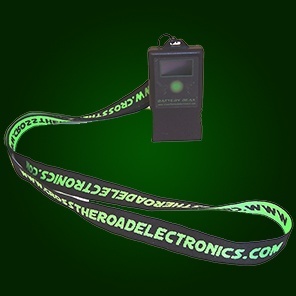 This new technology takes the guess work out of determining your battery's quality and overall health. The results are displayed on a high resolution OLED display in less than a second and include the battery's internal resistance, SOC, open-load voltage, voltage at 1 amp and 18 amps and a battery status of 'Good', 'Fair' or 'Bad'. The internal resistance measurement is useful in determining if any bad cells are present. When the Battery Beak is used to track a battery's internal resistance over time, it is possible to determine when to take a battery out of service before a failure occurs. 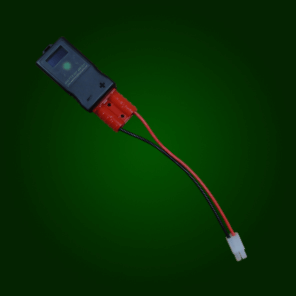 The battery beak does not require external power, and with the built in powerdown feature allows the Beak to be connected to your battery indefinitely without draining your battery. The housing of the Beak is a durable ABS/Polycarb blend and mates directly to the Anderson SB50 connector, an adaptor for packs equipped with Tamiya type connectors is also available.